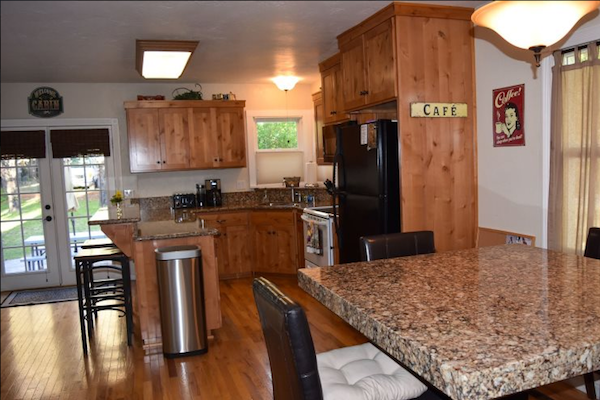 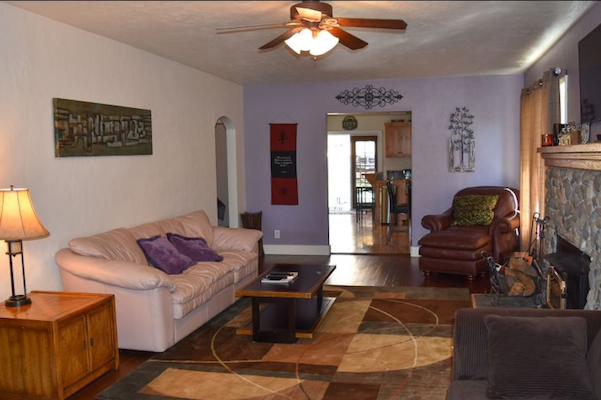 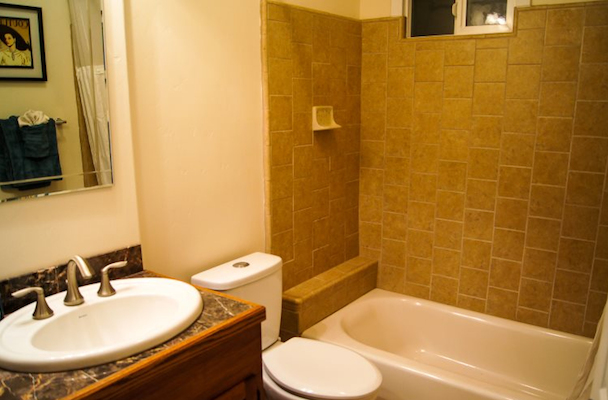 The Casa de la Montana is an updated three-bedroom, two-bathroom house with quartz countertops in the kitchen, heated bathroom floors, a cozy woodstove, and is situated right on Mount Shasta Blvd. 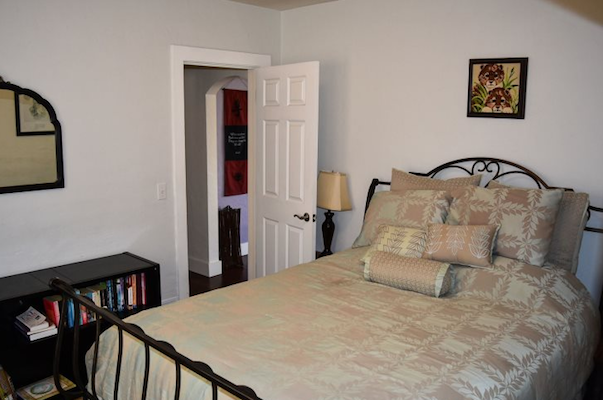 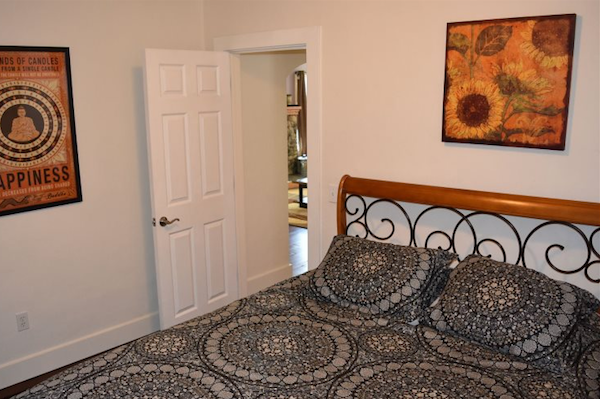 Within walking distance to cafes, restaurants and bars, and shopping. 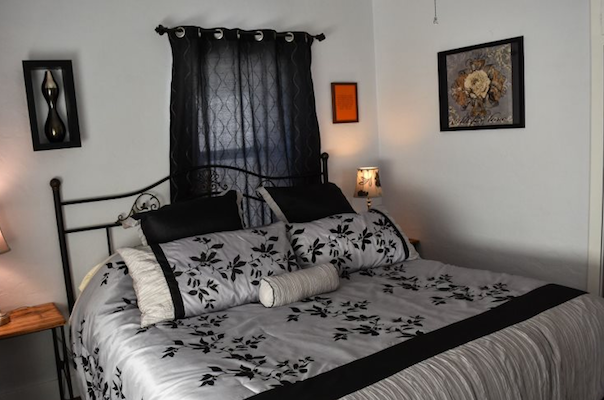 The Casa de la Montana sleeps 6 in beds and the max capacity is 8 guests. 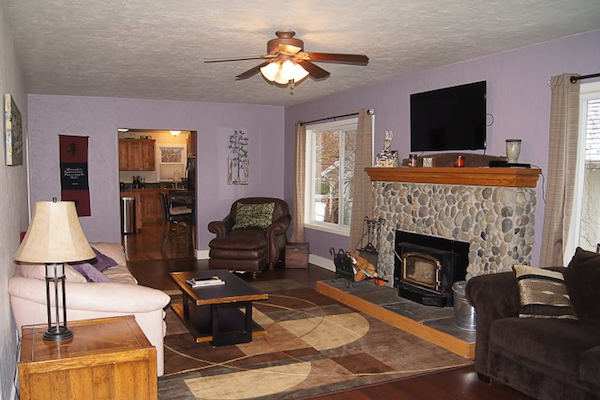 The Casa has a warm and cozy front room with comfortable seating, a 48″ smart, flat-screen TV and a woodstove insert, surrounded by river rock to complete the mountain ambiance. 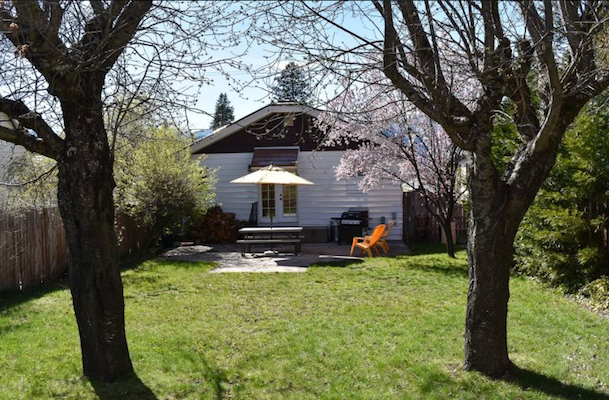 The large backyard has a lawn area, patio with picnic table and gas grill for chilling out and relaxing in privacy. Additional parking is available for up to 3 cars.